Longtime Opry staff fiddler Hoot Hester died Tuesday (Aug. 30) at age 65. Hester joined the Grand Ole Opry staff band in 2000 and remained there until 2014. 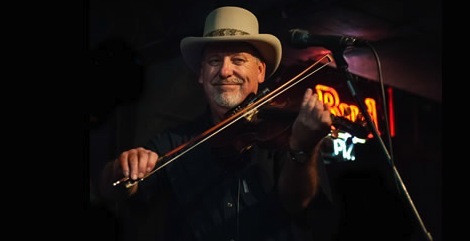 He also appeared with the Western swing ensemble The Time Jumpers, was once a member of Wylie & The Wild West and had an extensive resume as a session musician. Though best known as a fiddler, Hester was also proficient on mandolin and guitar. Born Hubert Dwane Hester in Kentucky, he was inspired by his fiddle-playing father, piano-playing mother and four uncles who were also musicians. Following high school, he joined the Louisville bluegrass band Bluegrass Alliance. He moved to Nashville in 1973 and was hired by The Whites. Stints touring with Jerry Reed, Mel Tillis and Donna Fargo ensued. In the 1980s, he decided to focus on studio work. He joined forces with steel guitarist Buddy Emmons and guitarist Phil Baugh to form Sound Factory. They formed the basis for the “house” bands on the TV shows That Nashville Music and Nashville Alive. Beginning around 1983, Hoot Hester became a regular at Nashville recording sessions. Throughout the rest of that decade he backed Gary Morris, Randy Travis, Dan Seals, Moe Bandy, Vern Gosdin, Conway Twitty and more on their hit records. Studio success continued in the 1990s, with Hester appearing on the recordings of Ricky Van Shelton, Kenny Rogers, Ray Price, The Statler Brothers, George Strait, Gene Watson, Steve Wariner and more. In the 2000-2010 era, he could be heard on the discs of such stars as Charley Pride, John Conlee, Radney Foster, Dale Watson, Bill Monroe, Earl Scruggs, Larry Gatlin, Merle Haggard and many others. More recent clients have included Alan Jackson and Charlie McCoy. He was one of the original members of The Time Jumpers when the band was formed in 1997. In 2012, he appeared on The Time Jumpers debut album. Hoot Hester has also recorded with such diverse talents as Alabama, Manhattan Transfer, Hank Williams Jr. and Ray Charles. In recent years, he has been performing with his daughter Rachel Hester. Billed as Rachel Hester & The Tennessee Walkers, they had a regular weekly gig at Robert’s Western Wear on Lower Broadway.